Todoist, the self-proclaimed “perfect to-do list” app, received a major update in Google Play this morning. Inside, users can now set up location-specific alerts for individual tasks. For example, are you at the grocery store? Todoist will remind you about that gallon of 2% milk you need. At work? Todoist will remind you about finishing the important TPS report that needs to be filed before Jenkins comes back from vacation. In addition to the new alert feature, a simplified interface has been deployed, allowing Android users to easily browse through tasks and set up new ones. According to the changelog, a few bug fixes are also inside, so the app should run pretty smooth after updating. Interested in receiving reminders when you pop into a certain place or leave your house? 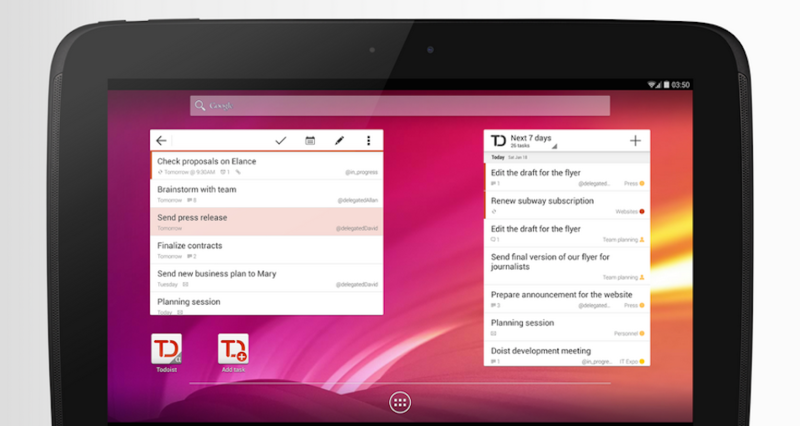 Check out Todoist for free on Google Play be following the link below.